(NaturalNews) Tens of thousands of people in the United States die each year from antibiotic-resistant infections, according to the Centers for Disease Control and Prevention (CDC). In 2013, the number killed by superbugs was 23,000. As shocking as these figures are, all evidence suggests that the problem is just going to keep getting worse. According to a 2014 study by the British government's Review on Antimicrobial Resistance, the global death toll from superbug outbreaks is likely to reach 10 million per year by 2050. That figure is higher than the 8.2 million who die from cancer and the 1.5 million who die from diabetes, combined. The Review on Antimicrobial Resistance was commissioned after the UK's Chief Medical Officer issued a report in 2013 warning that the threat posed to society by antibiotic resistance is as dire as that of terrorism. The review's first paper sought to quantify the scale of the problem, both now and into the future. It found that at least 50,000 people per year die from superbugs in the US and Europe when combined; globally, the number is probably 700,000. 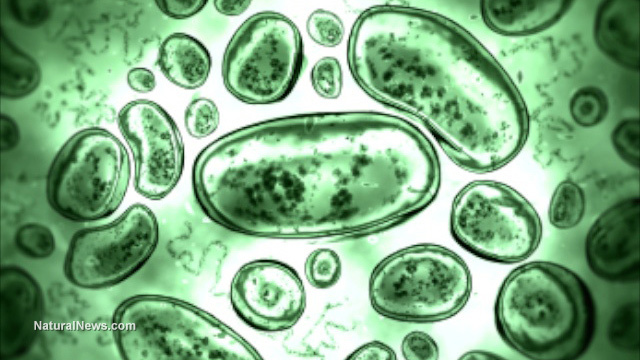 The more-than-tenfold increase is expected to come from the ongoing spread of drug-resistant genes through microbial populations worldwide, and the continued development of resistance to new drugs. The numbers in the study are for deaths from only six pathogens: Klebsiella pneumoniae, E. coli, MRSA, HIV, TB and malaria. Deaths from these superbugs are expected to hit Asia and the global south the hardest. For example, the researchers estimated that by 2050, a quarter of all deaths in Nigeria could be caused by superbugs. These death tolls also fail to take into account people who would die from being unable to undergo medical procedures that are only safe with the use of effective antibiotics. These procedures include all surgeries (including cesarean section deliveries), cancer treatment and organ transplants. The researchers also noted that the healthcare costs of unchecked drug resistance will be enormous, severely hampering economies worldwide. "This is a looming global crisis, yet one which the world can avert if we take action soon," the researchers wrote. In November 2015, the World Health Organization (WHO) echoed a warning, with WHO head Margaret Chan saying that allowing drug resistance to continue on its current course would "mean the end of modern medicine as we know it." That same month, the WHO launched a global campaign called "Antibiotics: Handle with care," aiming to educate doctors and patients about appropriate use of antibiotics. What can be done to prevent the nightmare future that experts keep warning us about? In May, the Review on Antimicrobial Resistance issued its final recommendations, calling for a global public awareness campaign about the problem of drug resistance; the development of new antimicrobial drugs; more sparing use of antibiotics in humans and improvement in diagnostic technology to aid that goal; and a dramatic reduction in the use of antibiotics in agriculture. The report particularly urges governments to dramatically restrict – or preferably ban – the agricultural use of drugs that are also used in human medicine.